For a lot of people in Mexico, their livelihoods depend on farming. According to research, the sugarcane industry alone generates 930,000 jobs and contributes $2.5 billion to the Mexican economy annually. But like so many other developing countries, smallholder farmers are plagued by below average productivity. A big part of this problem is that they simply don't have access to modern agriculture technologies, and there's also the fact they're battling growing challenges such as drought, pests and disease. In a bid to help sugarcane and wheat farmers improve their crop yields and accelerate productivity, the SIAP (Secretary of Agriculture, Livestock, Rural Development, Fisheries and Food - a part of the Mexican Ministry of Agriculture) has joined the COMPASS project led by the UK Space Agency and English tech firm Rezatec. Funded through the £152 million International Partnership Programme, it's leveraging sophisticated geospatial data and artificial intelligence systems to provide historic, statistic and satellite data to aid the development of a crop yield optimisation tool for farmers and the wider supply chain. 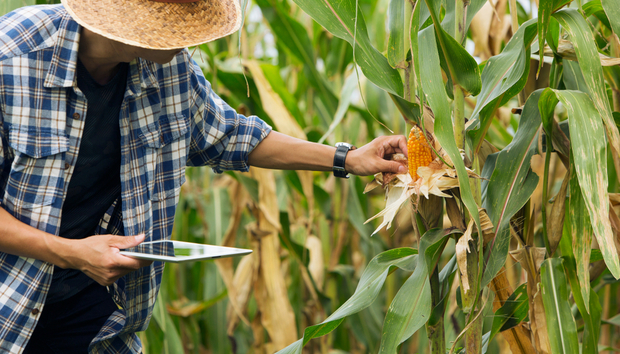 There are thought to be around 30 different parameters affecting crop production (including soil type, harvest date, disease control and temperature), but currently no evidence-based tools that make it easier to manage them.